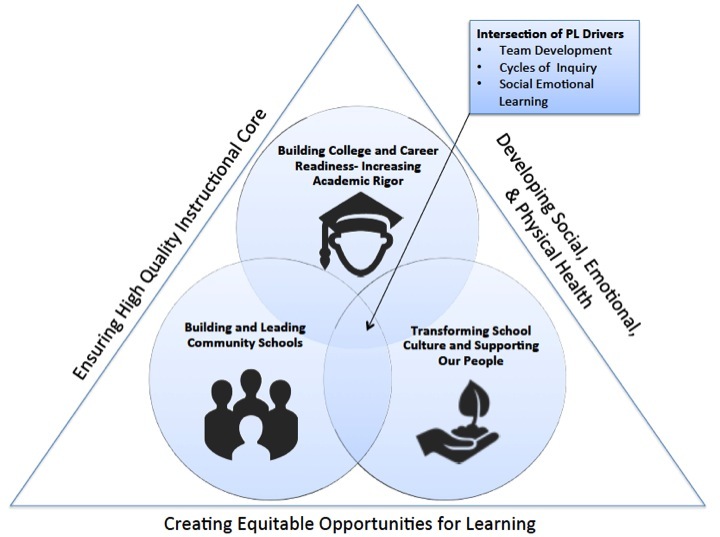 How Do We Support Building Quality Schools? The Continuous School Improvement (CSI) Department is part of the Schools Division under the Office of Post-Secondary Readiness. The vision is the creation of a powerhouse team focused on continuous improvement. CSI works on the development of tools, processes and supports to ensure every school is on a path towards becoming or sustaining high quality. One example of this is the application of the Quality Standards developed by the community of Oakland as part of the district's strategic planning process, through annual School Quality Reviews. This process helps to build a common view of schools for its students, staff, families, and the district. This common view allows the school to be more strategic in its improvement planning and implementation. This includes the process used by the Office of Charter Schools for monitoring and evaluating charter schools authorized by the district, which are overseen within the CSI Department. CSI helps to ensure that the district sets rigorous, measurable goals and consistently engages in cycles of inquiry to monitor its progress towards achieving those goals. This includes managing the district and school Balanced Scorecard system which monitors and reports on key indicators of student outcomes and school quality. CSI also facilitates the Community School Strategic Site Planning process for all schools (in partnership with the State & Federal Compliance Office and the Community Schools, Student Services Office) where school site governance teams develop capacity to collaborative engage in data driven cycles of inquiry - focusing on continuous improvement. CSI : "WHO ARE WE?"